Some superstars are visiting Nigeria's oil rich but quite volatile Niger Delta. Former 400 meters world champion, Amantle Montsho, will be participating in the 2017 edition of the Warri Relays/CAA Grand Prix. This was made known by the Meet's Media Director, Olukayode Thomas. Finalist at the 2008 Summer Olympics, Montsho also competed at the World Championships in Athletics and the IAAF World Indoor Championships, and is a former World Champion in the 400m, winning with a personal best time of 49.56 in Daegu. She won the African Championships gold medal over 400m; she also won titles in the event at the 2007 All-Africa Games, the 2010 IAAF Continental Cup and the 2010 Commonwealth Games. 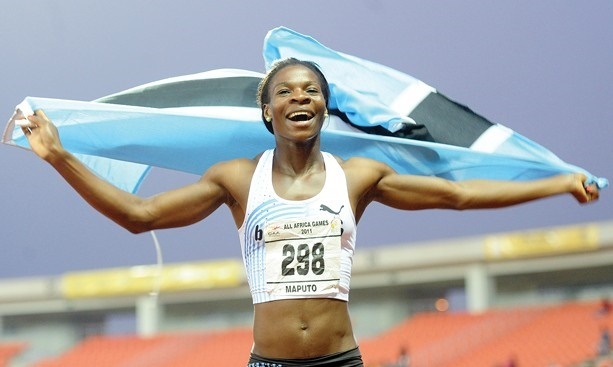 She is the first Botswana ever to win a gold medal at the Commonwealth Games. She has personal best times of 11.60 seconds in the 100m, 22.89 seconds in the 200m and 49.33 seconds in the 400m. In a message sent to the Meet Director, Yussuf Alli, the former World Champion expressed regret for missing the previous editions of the relay.